Searching for affordable, clean and charming hotels near Callippe Golf Course in Pleasanton? 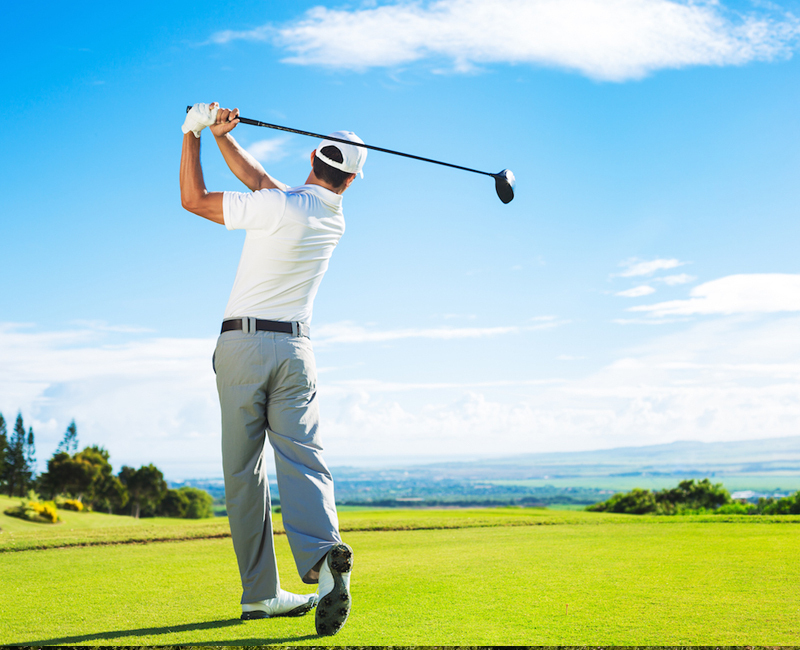 Planning to swing by the Pleasanton Golf Center? We're among popular hotels nearby. At the Tri Valley Inn and Suites, one of our main business drivers is providing golf enthusiasts with a relaxing and inviting stay after a full day on the greens. 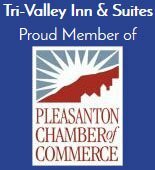 So if you love golf, at Tri Valley Inn and Suites, you'll be part of the club! This 2006 addition to the Bay Area golf is scene is a welcome one, thanks to its close proximity to San Jose and San Francisco, its memorable mountain vistas and to its very reasonable green fees. Architect Brian Costello routed the course to take full advantage of the twisting Happy Valley Creek and stuck holes 11-14 adjacent to Callippe butterfly sanctuaries. The 18-hole course has ranked No. 13 on the list of 50 best courses under $50. Located on the Alameda County Fairgrounds, Pleasanton Golf Center is a 9-hole executive length golf course in Pleasanton, California. This short layout will reward good shots and provide a fun golf outing for everyone. With three par-four holes, the course is 1,500 yards of fun, offering an enjoyable challenge to experienced players without overwhelming those with fewer rounds under their spikes. The course also features a warm-up range with grass tees. Just blocks from Pleasanton's Main Street, our course provides the perfect opportunity to get in nine holes during the day or after work. And, with a two hour playing time, 1/2 day tournaments are an easy fit for busy schedules. Las Positas Golf Courses is comprised of a par 72 18-hole 6,800-yard course with plenty of natural hazards and an executive 9-hole that is also challenging for golfers of all skill levels. Opening in Livermore in 1967 and designed by Robert Muire Graves, Las Positas utilizes the natural beauty of the Livermore valley countryside to present golfers championship design and challenges at public golf course prices with green fees ranging from $21 to $35 depending on 18 or nine hole play, the season and weekday or weekend play. The 27-hole Poppy Ridge Golf Course is a challenging test for golfers of all skill levels consisting of three aptly named nine-hole courses (Merlot, Chardonnay and Zinfandel). This vast Livermore golf course boasts around 7,000 plus yardage depending on the 18-hole course combination chosen and was designed by 1995 Golf Digest Architect of the Year Rees Jones and incorporates much of the natural challenges and highlights of the Livermore Valley. The green fees at Poppy Ridge vary from $57 to $82 depending on weekday or weekend play, but they are much reduced for NCGA (Northern California Golf Association) members. Springtown Golf Course is a public city course consisting of nine holes with two sets of tees so full 18-hole play is possible and the total yardage is 2,750. Being a public city of Livermore golf course, the green fees at Springtown are nominal at $23 and $26 for weekday and weekend 18-hole play respectively. A quick nine at Springtown, however will only cost the golfer $15 during the week and $17 on the weekends. Designed by golfing great Greg Norman, The Course at Wente Vineyards is an 18-hole 6,934-yard championship golf course that also plays host to a prestigious PGA event. Created with both the amateur and professional golfer in mind, The Course at Wente Vineyards utilizes the natural landscaping of the Livermore valley that creates challenging hazards during play through the rolling hills. The views seen through the 200-foot elevation change at this Livermore golf course are unsurpassed in their spectacular beauty. Green fees at The Course at Wente Vineyards vary from $60 to $105 depending on weekday or weekend play and the season.